This ancient legume once fueled Roman warriors and lived on as fresh, deliciously addicting, appetizer-snack in the Mediterranean. Reimagined in our Brooklyn test-kitchen, BRAMI Beans are sprouted, marinated in savory seasonings, and packed fresh out of the barrel. one bean at a time. Finally a real alternative to the empty calories of dry processed snacks. Naturally high in plant protein, fiber and minerals and low in calories, fat, carbs and sugar, this ancient tradition is the perfect go-to for modern day snacking. 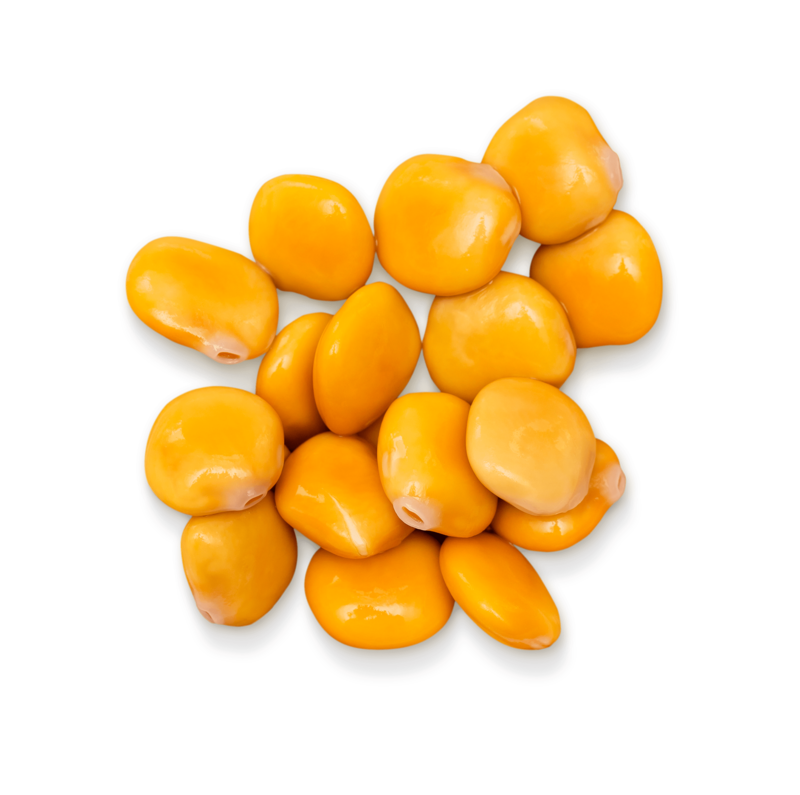 Known as lupini in Italy and traditionally served as a an appetizer alongside olives as a part of the Mediterranean diet, BRAMI beans are a fresh legume snack packed with plant protein (kinda like a Mediterranean edamame). But unlike edamame they are soy-free, come in flavors, and you can eat them right out of the bag. Zero net carbs! The only beans virtually starch free, the lupini carb structure is dominated by prebiotic fiber. BRAMI Beans are sprouted for 10 days, removing any naturally occurring antinutrients. Lupini replenish nitrogen and phosphate to the land, require low water usage, and naturally repel pests. Bring them to the office, in your bag, or on a hike to stay super-charged with wholesome savory goodness. But BRAMI Beans are more than just a supersnack. Add clean plant protein with a tangy zing to your salads, stir-fries and even pastas! Transform salads, stir-fries, and more!